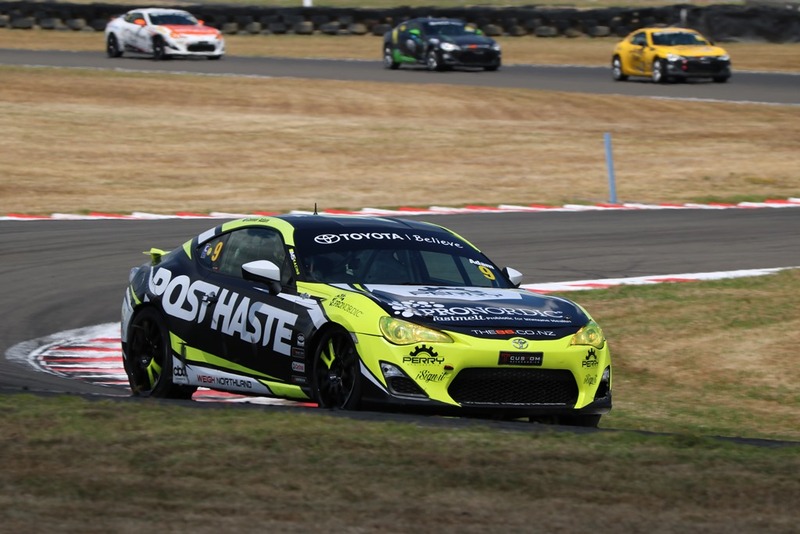 Adam’s Toyota 86 campaign is supported by Post Haste, ProNordic, Perry Engineering and Weigh Northland. Caption: Connor Adam (#9) sits fifth in the 2018/19 Toyota 86 Championship after the fifth round at Manfeild. Image by Tayler Burke.